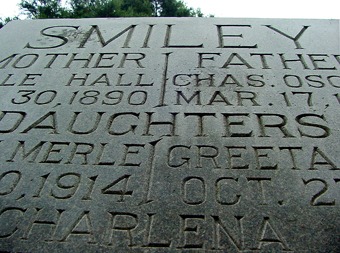 When I first heard about this one, I thought it was such a classic cemetery legend... even the name, Smiley's Grave, sounds creepy and unforgettable. I was told this grave held an entire family, and all died on the same day––some claim it is because the father killed the family, then himself. They also say that if you lie down on his grave at midnight (some say midnight on Halloween), it will be hard to sit back up––as if invisible arms are around you, holding you down from beneath the grave as Smiley tries to add another member to his ghostly family. We found the cemetery easily, and pulled in to begin our search for Smiley's Grave. I wasn't even 100% sure it existed, but I had a good feeling about it. We passed by a corner that had a pile of dirt and some grave liners piled up and waiting. Creepy. It was a good sized cemetery, and seemed to be divided into two sections, Mills Cemetery on one side, Garland Cemetery on the other. We parked and started wandering on foot, and oh man, there was a bad smell––very, very bad smell! It was all throughout the entire cemetery, a horrible smell of rot and decay and, well, things dead. It was an extremely hot and humid day, so maybe that had something to do with it, but it was bad. I have never been in a cemetery that smelled like that before. It is odd to see such a tombstone, and you can't help wondering how the poor family died. Was it a murder/suicide, as the legend says, or maybe a fire or other such disaster? I was told by someone that they heard the family died of a shared illness. Maybe, but it would be odd for them all to die on the exact same day if this were the case. 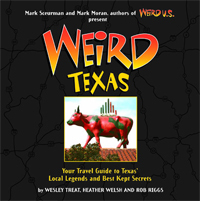 There were three splashes of something marked diagonally across the tombstone. Behind the tombstone there are a few more family graves inside the plot, one with the Smiley name, the other two with the name Skelton. 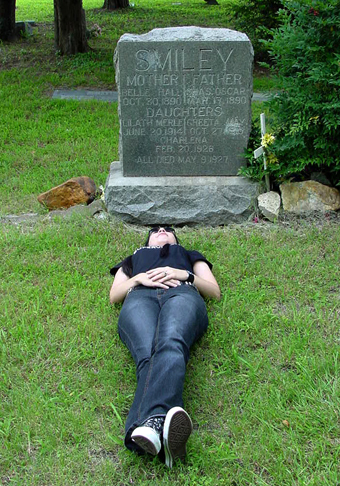 Of course, I had to lay down on the grave, even though it wasn't midnight (or Halloween). I laid down, got comfy, and waited a minute... but there was no phantom embrace. Phew. It was a beautiful old cemetery (but I must say we were glad to leave that creepy death-stench behind), and Smiley's Grave is really intriguing. I don't think I've ever seen a grave like it before, and I can't help but be super-curious about it still.